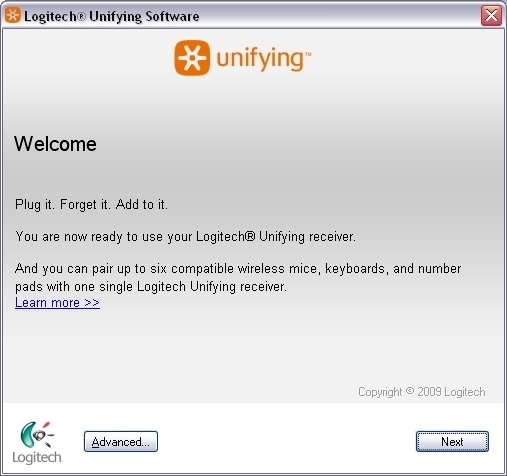 Launch the Logitech Unifying software. NOTE: If you don't already have it installed, you can download Unifying software from the Software Downloads page. At the bottom of the Welcome screen, click Next. NOTE: These instructions use Windows screenshots. Macintosh will look slightly different, but the instructions are the same. When you see the "Restart the device…" screen, follow the on-screen instructions to turn your device off and then back on. 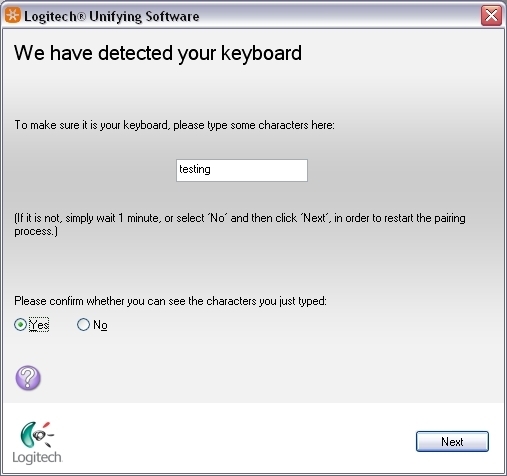 Keyboard: Type a test message in the field provided to make sure it works. Mouse: Move it around to see if the cursor moves with it. If your device connected successfully, click Yes and then Next. If your device doesn't work right away, wait a minute to see if it connects. If it doesn't, select No and then click Next to restart the pairing process from Step 1 above. 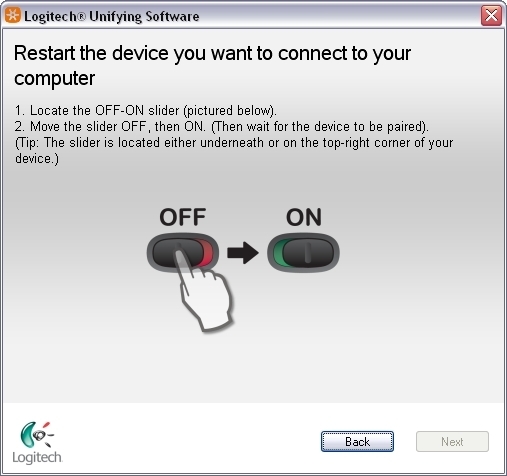 Click Finish to exit the Logitech Unifying Software (or Pair Another Device to pair additional devices). Your device should now be connected.